If the engine piston temperature is too high, it will easily lead to overheating and melting, and the cylinder will be overheated; rubber seals, triangle tapes, tires, etc. will overheat, easy to premature aging, performance degradation, shortened service life; starter, generator, regulator and other electrical equipment The coil is overheated and extremely burnt and scrapped. If the fuel filter, oil filter, air filter, hydraulic oil filter and various filters are too dirty, the filtration effect will be poor. The radiator fins, air-cooled engine block and cylinder Parts such as the cover heat sink and the cooler heat sink are dirty, which may result in poor heat dissipation and high temperature. The engine cylinder head gasket can not be reversed during installation, otherwise it will cause premature ablation damage of the cylinder head gasket; the engine fan blades should not be reversed when installed; for tires with directional pattern, herringbone pattern tires, the ground footprint after installation should be The tip of the giraffe points to the back. Engine valve locks shall be installed in pairs. If missing or missing, the valve will be out of control and the piston will be damaged. Engine connecting rod bolts, flywheel bolts, split pins installed on the drive shaft bolts, locking screws, safety sheets or A spring pad and other anti-loose device, if leaked, may cause serious failure in use; the oil nozzle used to lubricate the gear in the engine timing gear chamber may cause serious oil leakage if it is missing. Engine dry air filter paper filter, if oiled, easy to draw a higher concentration of mixture into the cylinder, so that the air volume is insufficient, the fuel consumption is increased, the engine power is reduced; if the triangular tape is stained with oil, It will accelerate its corrosion aging; brake shoes, dry clutch friction plates, brake belts, etc. will be contaminated with oil, which will threaten the safety of the car. Tire rubber is very sensitive to oil corrosion, and rubber will change the rubber. Soft or peeling. For the paper air filter of the engine, it can't be cleaned with any oil; for cortical parts, it should not be cleaned with oil. If the tire tires are stored for a long time and are not turned over in time, they will be deformed by extrusion; if the paper filter of the air filter or fuel filter is squeezed, it cannot be reliably filtered; Rubber oil seals, triangle tapes, tubing, etc. can not be squeezed. Rubber products such as tires, triangle tapes, cylinder block water blocking rings, rubber oil seals, etc., if they are close to the fire source, will be prone to deterioration or damage, and may also cause fire accidents. Some parts should be used at one time, but individual drivers or repairers are re-used in order to save or not understand the "taboo", which can easily lead to accidents. 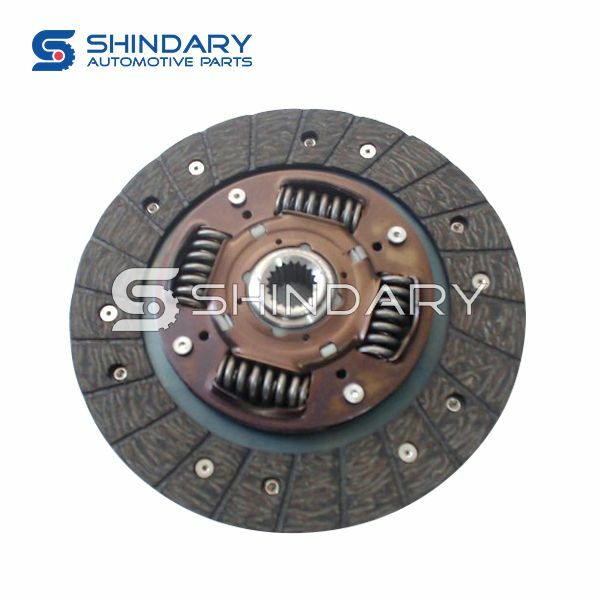 Our company also offers Lifan Clutch Driven Plate. Welcome to contact us.